Sitting down at her desk after running around campus, Whitney Grummon, a beloved teacher at Carmel High, speedily types emails while a student asks about her literary analysis essay. Grummon, in the midst of a classroom filled with posters of Cesar Chavez, quotes from Benjamin Franklin, and the chattering of students, helps her student with a bright smile. This constant action is a classic example of the scene in the room. The former teacher of the year is incredibly good at what she does and has been decorated accordingly, winning both Mentor of the Year and Teacher of the Year. 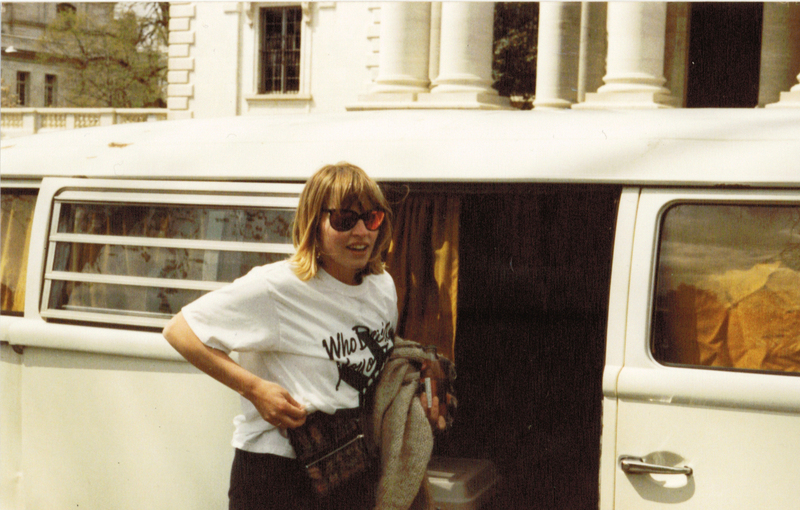 She currently serves as co-chair of the English department at Carmel High. The University of Colorado graduate’s daughter sits close to her mother’s desk reading, two graduates are showing Grummon pictures of their summer travels, and a former student enters into her room addressing her as “Grumm.” The previously decorated Mentor of the Year’s classroom is a melting pot for all students, teachers, beanbag chairs, bookcases full of endless copies of Into The Wild, soccer balls, and uniforms. The classroom is always welcoming to new ideas and new people. 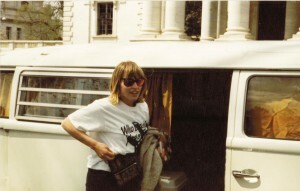 Grummon in front of her VW bus at a womens rights march in Washington D.C. in 1988. The English teacher also influences her students outside the classroom as the girls’ soccer coach. She makes an incredibly strong connection with her team and makes lasting friendships with both active students and graduates. Grummon has not only been giving her students a voice, but is a crucial part of giving nature a voice. She was part of an environmental group which helped shut down Rocky Flats, a nuclear power plant which is now a field in Boulder, Colorado. That wasn’t the only protesting Grummon has done. Whitney Grummon has made a substantial difference for Carmel High School, giving a voice to her students, to the environment, to women, and to many other causes. She is a friend to all and a mentor to all of her students.